2004 Sole - Leaking Shower? This past weekend we were camping in our 2004 Sole. We were level side to side, but about 2 degrees off front to back. Not enough to make a huge difference, but enough. I took a shower and when I got out of the shower, I noticed that there was water running out of the corner and across the floor. 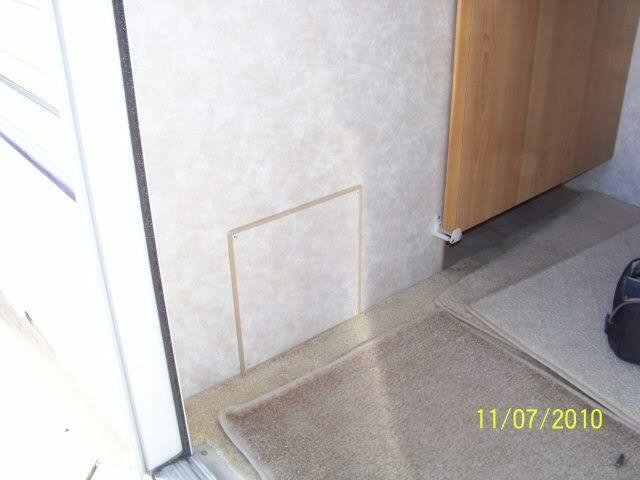 I have used the shower in the camper before (we were level) and did not have water leaking....Any ideas? I would imagine that this is an issue because if we are level where is the water going?? Is it going into the floor? The floor is not soft by the shower, but I would like to keep it that way. Thanks! Is the leak out into the open area on the floor when you step out of the shower? Does yours have the Shub Shower retracting shower screen? If it does, odds are high the silicone caulk along the length of the shower track that mounts on the shower basin for the Shub Shower screen (at the floor area) is gone/cracked. We had to scrape out the old caulk and put fresh new caulk in and the leak went away. Lift track up and caulk back down. The caulk holds the majority of it in place. Extra threshold added to shower? 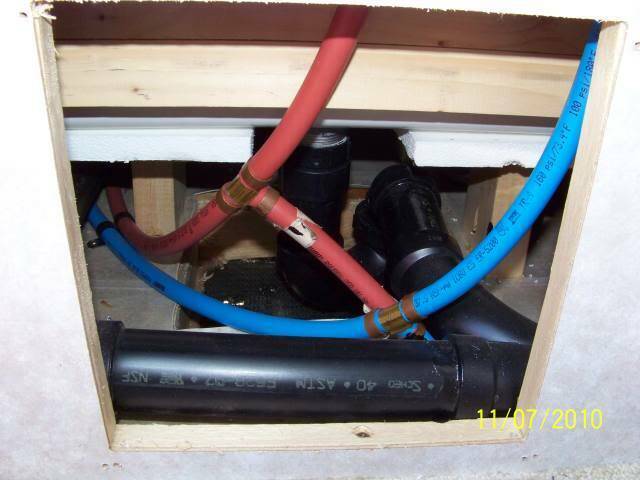 I have a tub with a curtain, so I am thinking that the leak is coming from the drain. I would absolutely appreciate any photos that you have so I know exactly what I am looking for. Thanks! And the drain pan fitting. See the large aluminum nut, tighten that up. Water pump pliers or they actually do make a thin large adjustable wrench for these as the home sink baskets are very close to this. Inside the shower they used either plumber putty or RV putty tape on the drain fitting flange as I see mine squirt out over time. 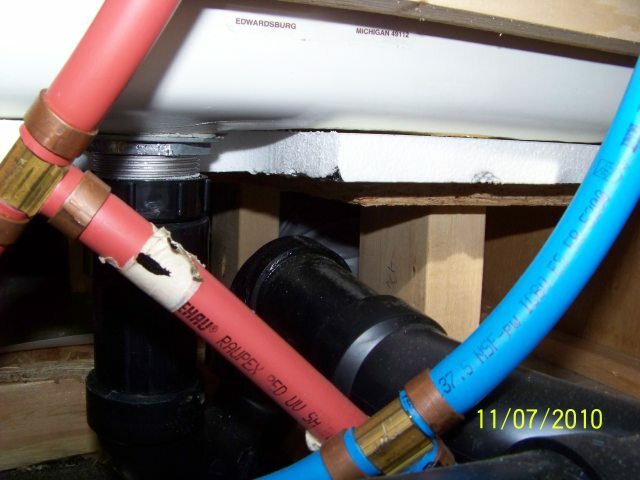 If tightening does not stop it, you will need to take the nut loose and unscrew the entire drain fitting out the top of the shower and put new fresh plumbers putty on it. Thank you! I will check this out. I appreciate the assist with this.